It's that time of year again to be thinking about cleaning out those winter worn flowerpots and planting new flowers. If of course you are into perennials then you won't have to do that. A perennial flower will last longer or apparently infinite amount of time if the conditions are good. Basically they come back every year. You only need to plant them once. Now doesn't that sound good? When choosing perennials for your garden containers, first pick one that will be the dominant center and then choose at least two others with foliage and flowers that contrast or blend with the primary plant. 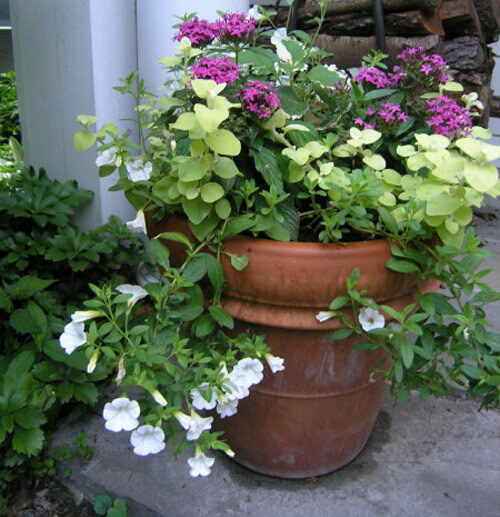 Thank about foliage color because it will dominate the planter and determine which flowers best suit the design. Also think about the ultimate size of the plants and make sure they won't overwhelm the garden container as they grow. Honestly, we love them overflowing and spilling down the sides of the planter. 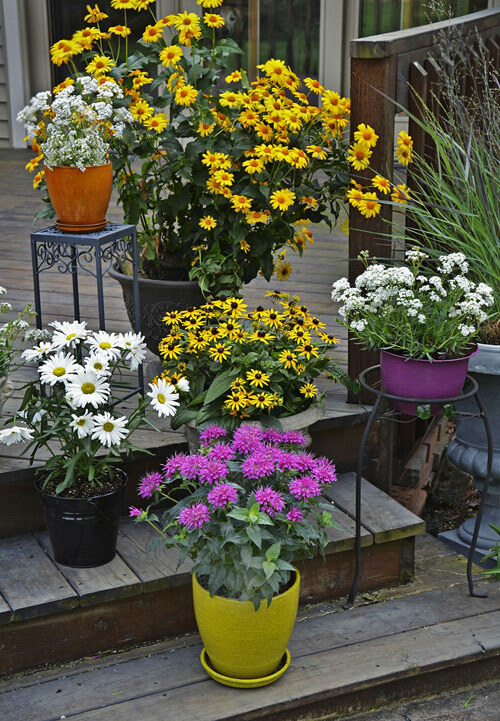 It adds so much color, fragrance and beauty to your porch or patio areas. 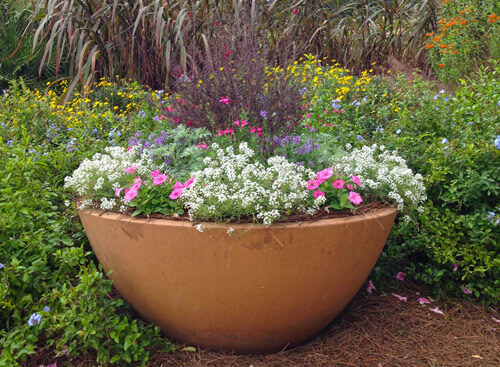 If you are using a basic terra-cotta planter you won't care how much of the planter is covered by plant growth. If on the other hand you purchase an expensive Frank Lloyd Wright Sandstone Planter than you would like the container to show to back off on the amount of perennials you plant. Pretty simple stuff. Perennial containers are much easier to care for than annuals. They require less deadheading and deadleafing. You can water them less often and they stay looking nice till after Labor Day. They will last all summer and look lovely the whole time. Try experimenting with different types to see if you can have full blooms from start of summer to end before they become dormant for Autumn and Winter. 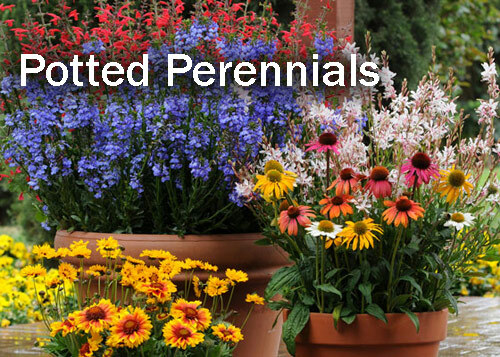 Potted Perennials are colorful, fun and long lasting. Enjoy!